A new council district could result in the first student elected to the city council in decades — and it could oust longtime Councilman Kriss Worthington from office. Berkeley is gearing up to become the first municipality in the country to create a city council district designed solely to represent the interests of college students. 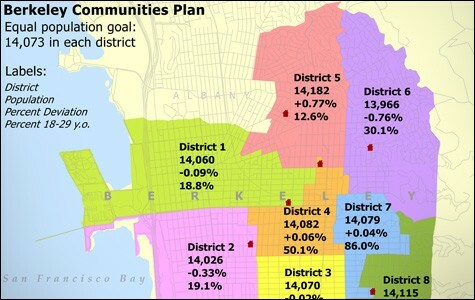 The new district would encompass areas next to the UC Berkeley campus, and if the city council approves the plan next month, it means that a Cal student would have a strong chance of being elected to the council next year — the first time that's happened since a young Nancy Skinner (who is now in the state Assembly) won a seat in 1982. But for students to finally have direct representation on the council, longtime Councilman Kriss Worthington, who has often championed student causes over the years, will have to voluntarily leave office or be defeated in the 2014 election. In an interview, Worthington, a progressive, said he would step down only if he feels that the student candidate is fully qualified for the position. "It just depends on who is ready," he said. "I am not going to give up my seat because someone says, 'I am a student and I'm going to run.' It matters what their experience is and also what their politics are," he said in a phone interview. Worthington's fate is tied to redistricting, which occurs every ten years in order to reflect the most recent census data. 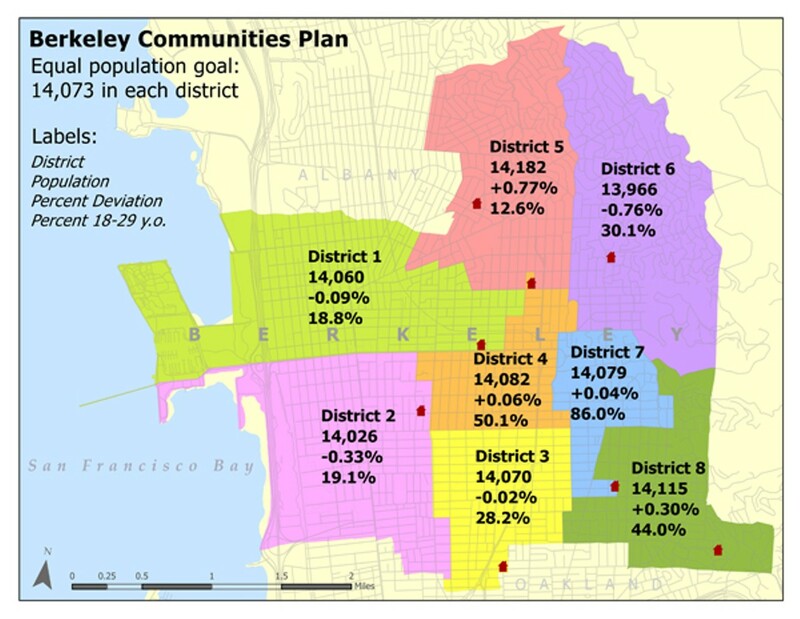 Right now, Berkeley is divided into eight districts, each with its own resident representative on the council. Although the majority of UC Berkeley students live in a concentrated area surrounding the campus, the current lines divide that region into four districts — effectively splitting up the student body, which makes up 25 percent of the city's population. 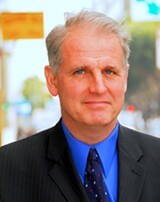 Skinner first won a seat on the council when Berkeley voters elected councilmembers in citywide elections. But in 1986, voters approved a measure that divided the city into districts in order to increase diversity on the council. Since then, the district boundaries have remained nearly the same, because the 1986 ballot measure insisted that any new boundaries adhere as closely as possible to the initial lines. However, last year, voters approved Measure R — by a margin of 66 percent to 34 percent — granting the council the power to create a new student district. The measure was backed by a group of students — the Berkeley Student District Campaign (BSDC) — that is associated with UC Berkeley's student government (the ASUC). The leader of the BSDC is Safeena Mecklai, the ASUC external affairs vice president who took over the campaign from its founder, Joey Freeman. 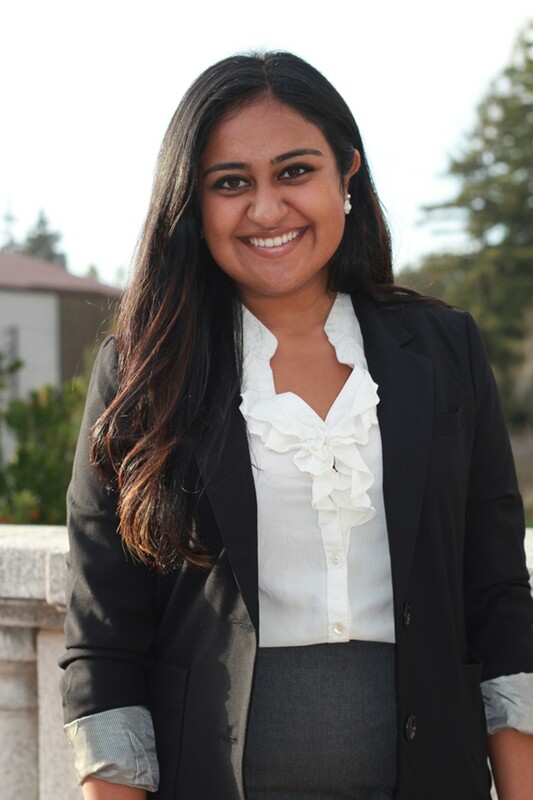 Now an incoming senior, the media studies major who is minoring in theater and public policy was elected to the ASUC as a senator during her second semester at Cal. Sitting in her campus office, Mecklai stressed that student issues and city issues are inseparable. She emphasized the need for affordable housing, but also spoke about parking near campus, traffic on Bancroft Way, vacant lots on Telegraph Avenue, and the sit-lie ordinance debate. "What we need is an institutionalized voice, and someone who is young, who knows where students live, where they hang out, how to get students engaged, how to appoint students to city commissions — so that students have an institutional, structural way to get access to city affairs," she said. In the eyes of BSDC's leaders, the best way to achieve those goals is to create a district in which a student candidate couldn't lose to Worthington or any other non-student resident who attempted to run. Doing so involves drawing a district that is almost entirely made up of students, and this is exactly what the BSDC has almost accomplished. On July 2, the city council voted to move forward with a map submitted by the BSDC that turns much of Worthington's District Seven into a student district, with the intention of approving it in September. The BSDC map draws a district that encompasses the areas directly west, south, and east of the UC Berkeley campus. Using Census data, the group determined that 86 percent of residents in this area are between the ages of 18 and 29, and can thus be assumed to be students. But while these boundaries likely encompass the majority of student housing, the new District Seven leaves out four large dormitories and eleven co-op houses on the north side of campus. Yet even without the students on the north side of campus, the proposed district would include enough students to ensure that one is elected to the council in 2014, Mecklai said. According to her, the BSDC map stops at Hearst Avenue for the sake of keeping district lines on major streets (one of the guidelines for redistricting) and protecting neighborhoods from being broken up. It's not known how many students usually vote in council elections, but Mecklai is pretty positive that it's a small number. That's why the next part of her campaign involves making sure that students are registered, informed, and at the polls on Election Day — and on all election days to come. However, not all students agree with the idea of putting the majority of Cal students into one district. Spencer Pritchard, an incoming junior at UC Berkeley who ran against Mecklai for ASUC external affairs vice president last year, is wary that bringing all of the students together could work against them by making only one of eight councilmembers accountable for their concerns. He argues that because students make up one-fourth of Berkeley's population, they should be prominently represented in at least two districts. "This student district serves to guarantee student underrepresentation in the City Council," he contended in an email. "If we were serious about student representation, we would look at how the City of Berkeley operates as a whole instead of narrowing the issue to simply a single student district." Pritchard is also wary of electing someone who may know student issues firsthand but who isn't capable of advocating for those issues. He thinks it would be more effective to encourage more students to vie for appointment to city commissions and become generally more involved in city issues. When asked how many students he thinks share his opinion on redistricting, he said that he knew many, but he felt that the vast majority of students knew nothing about it at all. "A better question first would be: 'How many students do you think would be able to name all the city councilmembers, or even the city manager, or even the mayor?'" he added. Although Worthington supports the proposal of turning his district into a student district, he has been not working directly with the BSDC. Instead, the councilman pushed last month for a different student district that includes the north side of campus and the coops, which tend to be more liberal than other student areas. Still, Mecklai said she's hoping that he will step down once the election comes around, adding: "The councilmembers tend to be on council for a long number of years and only one of them is under the age of fifty." Over the years, Worthington has helped students get involved in city affairs. He has appointed students to city commissions (some as young as eighteen years old) despite opposition from community members and fellow councilmembers, and those appointments have resulted in elected officials becoming more comfortable with having students in positions of authority, he said. "Once you admit that students do a good job on the police review commission and the zoning board and the most powerful commissions in the city, it's not that far of a stretch to think the same student ... might do a great job as a councilmember," he said.